I’m not a vegan, and can never be for my love of dairy is too great to abandon. In the recent year or so the Vegan movement seem to be taking over the planet for a moment -vegetarians, where are you?- and whenever I browse the social media account of a vegan I happen to come across one version or another of something they call “Nicecream” or “Nice Cream” and they keep raving about it the way they were raving about the cauliflower pizza that didn’t score that high with yours truly. 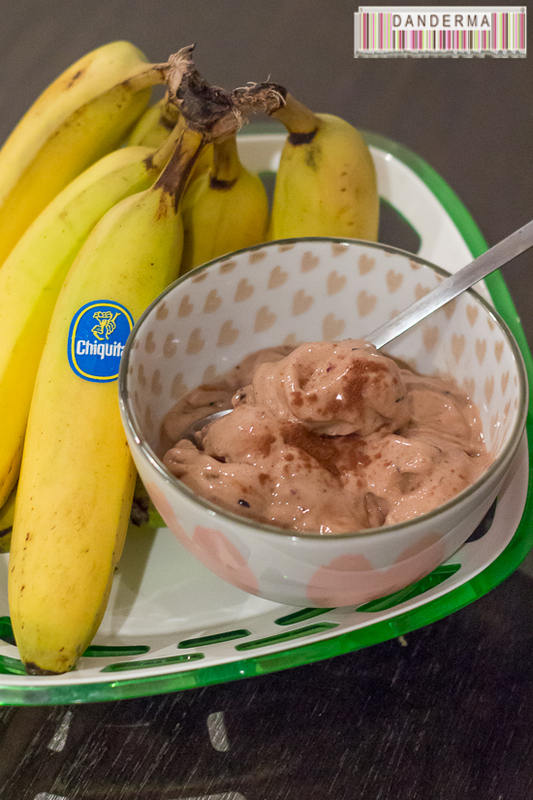 Since I’m a self confessed ice cream addict, my blog names means ice cream after all, and my BMI keeps climbing up everyday, I’ve decided that it won’t hurt to give the vegan nice cream a try, it is only restructured frozen bananas after all and those I do absolutely like especially in desserts. 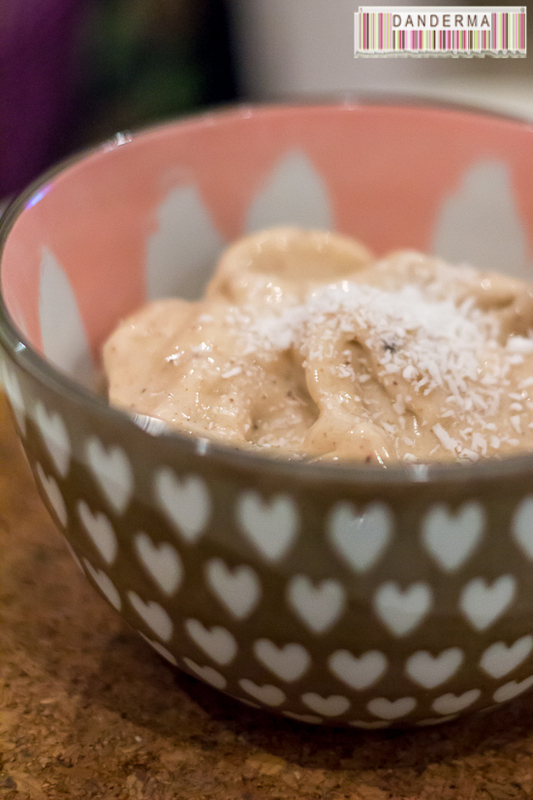 After a bit of trial and error on my part, I managed to prepare the most delicious, and quite addictive bowl of nice cream that not only is vegan and fat free, after a while -several bowls eaten on daily basis- you cannot imagine why you never prepared it earlier or that you’d prefer to eat a raw banana over it again. How to? Jokingly-easy, I tell you! 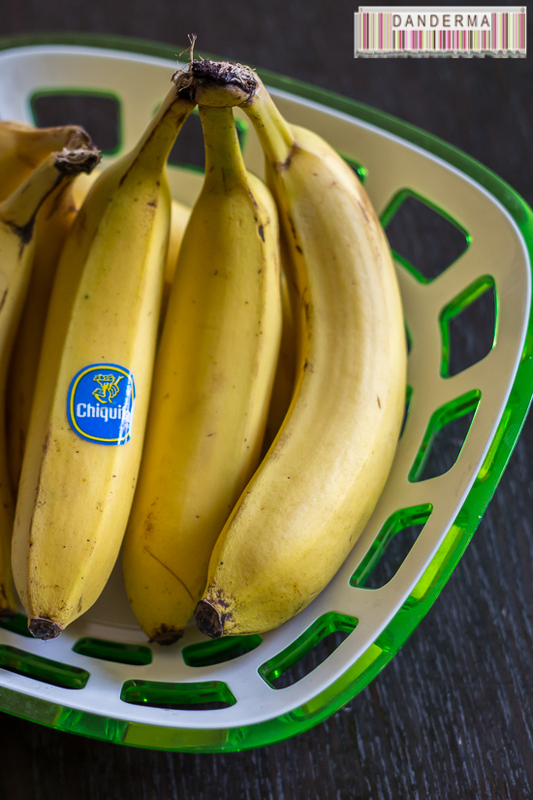 Do however use yellow and ripe bananas, green bananas would taste weird with a zing of taste that you don’t want in your ice cream and spotted brown bananas might appeal to some taste-wise but the texture won’t be the same. 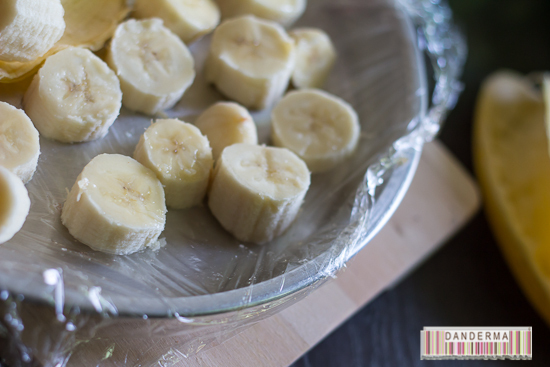 Now, take your nice yellow bananas, minimum two bananas as one won’t mixed as well for some reason, and cut into slices then place on a tray covered with wrapping paper as shown in the picture above. Don’t cover them, just pop them in freezer for about four hours before serving. 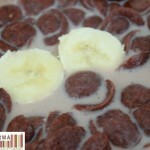 Once you are ready for your ice cream fix, simply get out tray of banana slices and let thaw for about 5 to 10 minutes. Get your food processor (not blender, using the blender was a disaster for me) and drop the banana slices in. Give it one initial blitz, then pop open the lid of the blender and add in a dash of cinnamon, a few drops of vanilla extract or whatever flavours you’d like to have for your ice cream. Blitz again until smooth and the texture does resemble that of an ice cream. For some reason just before finishing up adding one spoonful of lukewarm water to the banana mix seems to elevate the texture and give it a cloud like consistency, just a spoonful and lukewarm but you can skip that step -it is my secret tip though-. Blitz for one final half a minute and then scoop out and serve! Voila! As easy as one two three. How does it taste? Like vanilla ice cream? Well, no not really. The texture and temperature is that of an ice cream but you are definitely one million percent tasting bananas so if you are not a fan, then I won’t lie by saying it won’t taste anything like a banana. It like eating a solid banana milkshake. 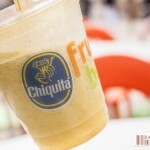 Or to be more accurate, if you’ve grown up in the Middle East and happen to come across the fruit cocktail drink (strawberries, mango, and banana milk) then it would taste exactly like the banana milk part of cocktail 6abaqat. The good news about this beautiful recipe is that you can dress it up however you like it! I’ve tried it with coffee granulate, chocolate chips, chocolate powder, frozen berries, a hint of peanut butter, topped it with cinnamon and almond flaked and coconut flakes and those cute colourful confetti like sugary thing and with every bowl I’ve had and every mouthful. My favourite combination is the coffee granules with chocolate chips and I could have this everyday for a meal without complaining. I never once eat it and wish I was eating ice cream instead, and its a great way to economically make use of a good bunch of banana before they go too ripe and be ruined. 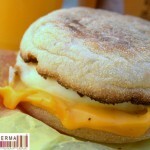 It is also vegetarian and vegan friendly, fat free, and gluten free. If you are concerned about having two bananas instead of one, you can split the nice cream with someone else but you’ll end up with a kid-portion-scoop bowl of ice cream. 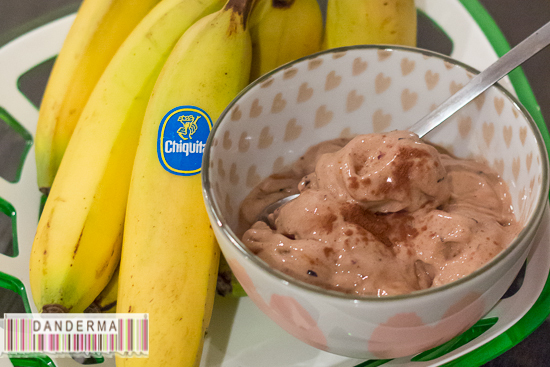 You can however make more than two bananas and then instead of serving up immediately, you can add the mixture to a plastic container and keep in the freezer for whenever you feel like a scoop of guilt-less nice cream.